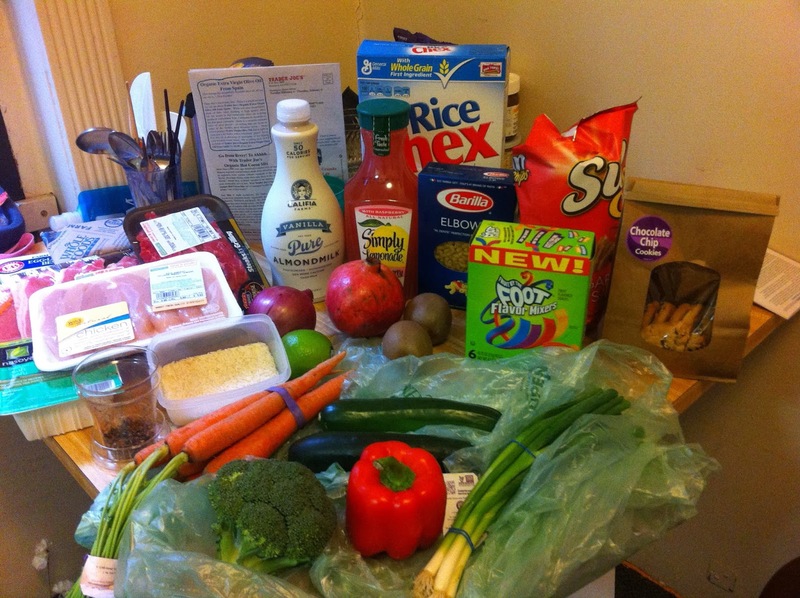 emily lam | blog: Budget Grocery Shopping Challenge!!! 1. Only eat food bought on the average SNAP budget: $30/week (any grocery store). Okay, so I'm modifying the challenge a bit. I'm still sticking to the $30/week budget. But since I don't particularly feel like eating the same meats throughout the week, I've extended the challenge to $60/two-weeks. Since it's more realistic; I'm not going to eat a dozen eggs in one week. 2. Spices and condiments that you already own are allowed to be used. 5. Keep a food journal and/or post thoughts, pictures, videos, etc on blog site. So I wanted to start this challenge last month but I had all this food that I had no idea what price I had paid for them. So I waited until I depleted my food supply, until today. Today, I went shopping and bought more food than I had ever bought at once in my life. I know, kind of crazy. *shrugs* I've only lived on my own and had to buy my own groceries in Boston and in Boston, the markets are so close to where I live; there's no point in stockpiling food when it takes 15-30min to go buy more food. Without further adieu, what I bought!! A bunch of carrots, a cucumber, a zucchini, a red bell pepper, scallions, a red onion, and a crown of broccoli. 8 chicken breast tenderloins, 5 thin-sliced center-cut pork chops, 6 sirloin tip steaks, a flounder fillet, a package of tofu, and a dozen of eggs (all natural, vegetarian-diet hens). A pomegranate, a lime, two kiwis, and two clementines (not pictured). Almond milk (vanilla flavored), raspberry lemonade, and tea. A bag of chocolate chip cookies, Foot by the Foot (removed), and a bag of sun chips (Garden Salsa). Rice, half a box of cereal, and elbow pasta. How did I calculate the budget. Well, I bought most items from Shaws (mostly the proteins) and Whole Foods (mostly the produce). Shaws came out to $38.94. And Whole Foods came out to $14.45. 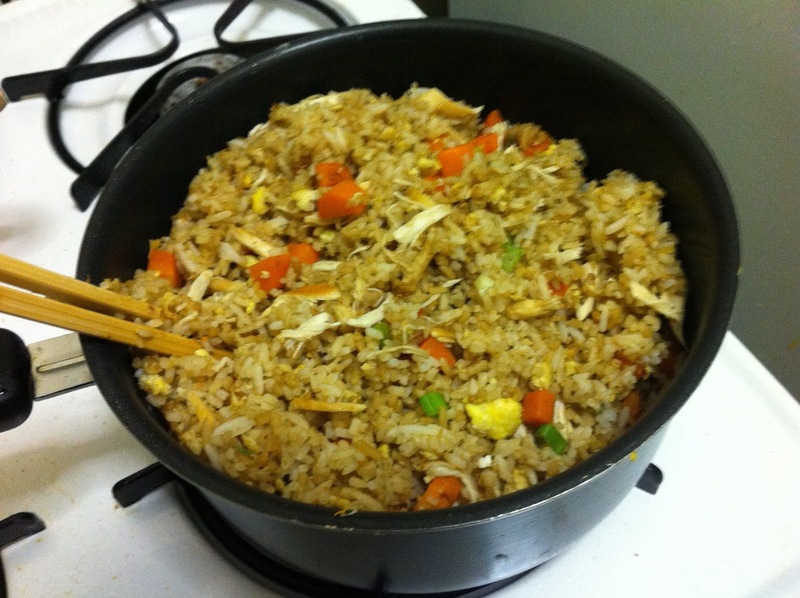 I then added $5 for rice, cereal, pasta, and tea. That's because those items are things I buy in bulk and I'm not going to finish a box of any of it. I usually get a 25lbs of Jasmine white rice for about $22. And it lasts my roommate and I a semester; so I figured factoring a dollar or so for it would be fair. And the same idea applies to pasta, cereal, and tea. And then I had two clementines and a pomegranate lying around, so I added $3 for those items. I get to a final total of $61.39. But I'm going to deduct something. As you probably noticed, I just kind of bought food items I liked. I didn't plan on buying anything. I just went to the markets and shopped. I think I overdid the proteins because there is a lot of it. Oops. The problem is that all the meat packages comes in such large quantities and I wanted a variety. But the good thing is that I like lean meats so all of it is fairly lean. I probably won't finish all the protein items in two weeks. I also wished I bought more veggies. I should have decided to buy more veggies instead of the cookies. Bleh. I don't even know why I bought cookies. Because I don't normally buy cookies. But I guess I was afraid that I might need a sweet snack or something. Oh well. On the other hand, I didn't need to buy the foot by the foot either. I think I will just not eat the Foot by the Foot, which was $2.99. That brings me down to $58.40 and will give me wiggle room to buy one or two more veggies next week if I need to, like more broccoli. Awesome! Yay! I'm excited about this challenge! I think the hardest part of this challenge is really just to eat every meal; I sometimes have the tendency to skip meals . . . But on a positive note, I will try to blog daily about the challenge, which means I'll be on a daily blogging schedule for at least two weeks. Ahh! If I can stick to that, I'll have 15 posts by the end of February which will be half of the total posts count I had last year! D: Let the fun begin! If only she kept the Fruit by the Foot... considering the conversion factor (120 cups according to Google), it would have been more than enough.